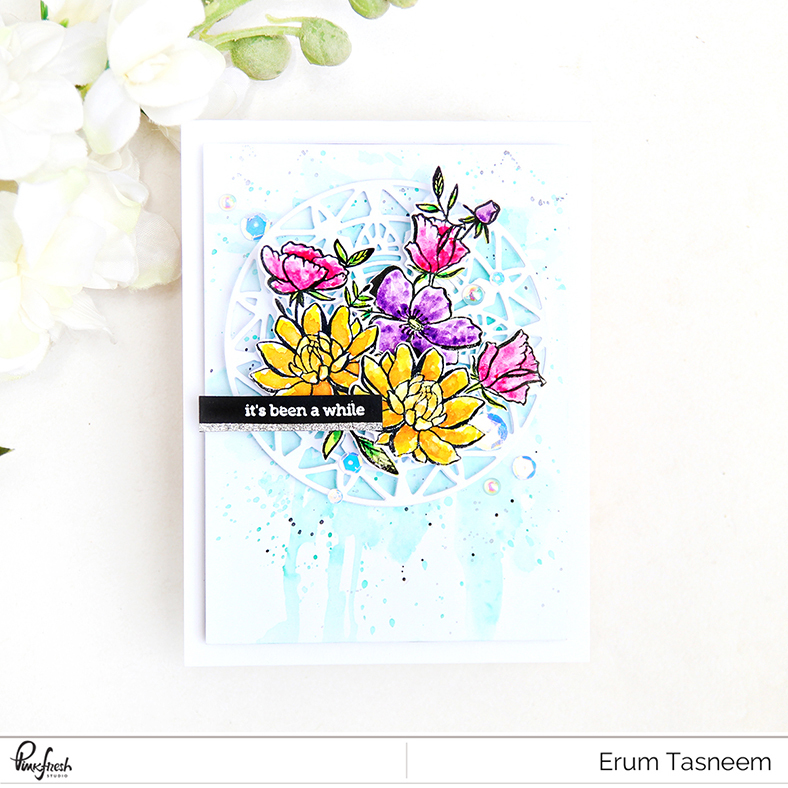 I have a new card to share at the Studio Katia blog. 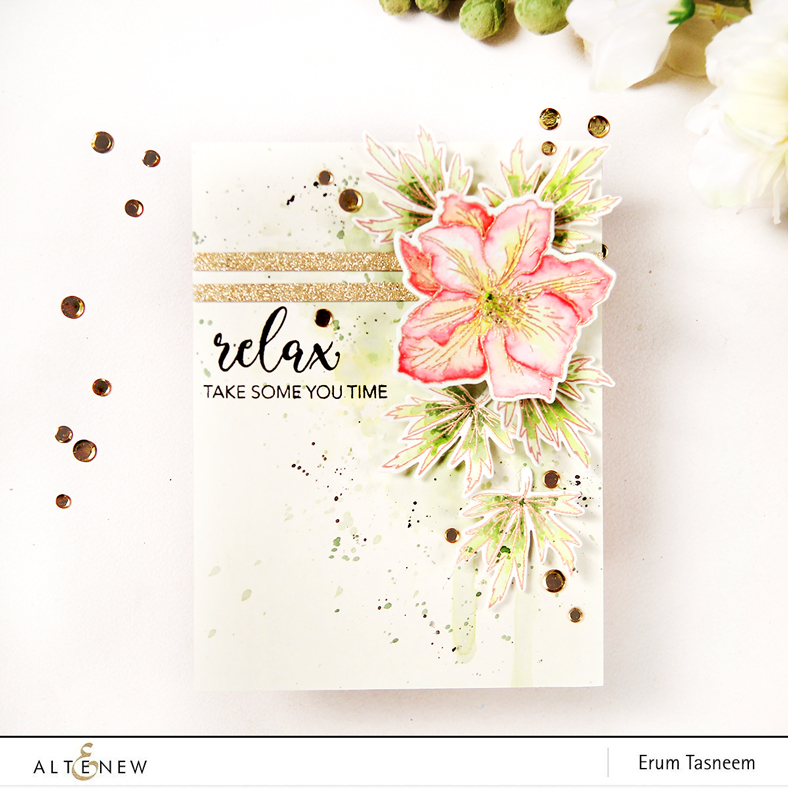 I am sharing a quick and simple card + a process video on the Altenew blog today. You are the winner of $30 gift certificate to the Altenew store. Please email winner@altenew.com with the subject same as the title of my post plus my name, "Erum" by 30th June. 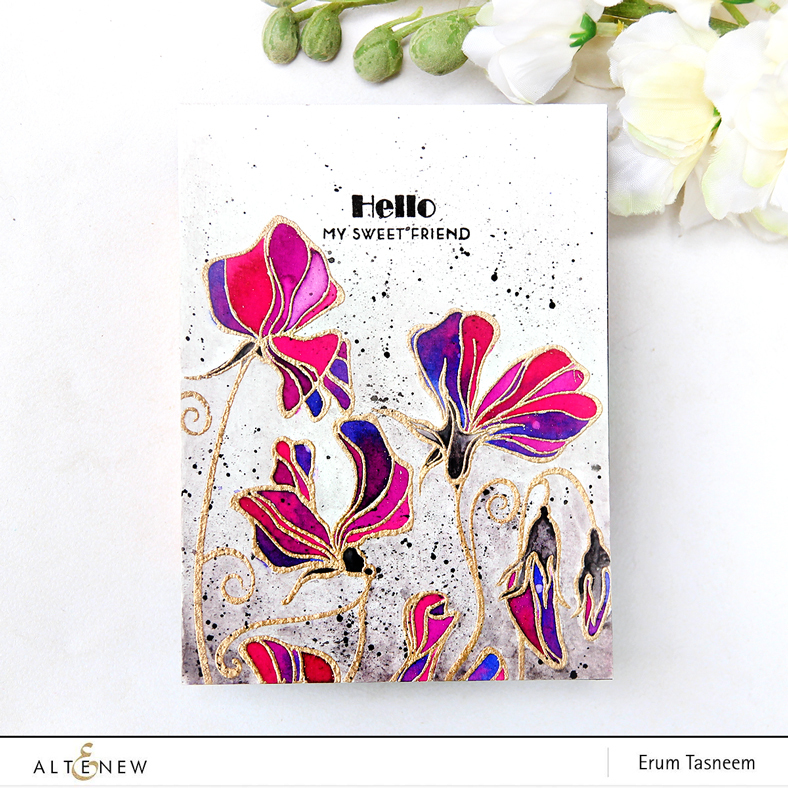 Sharing a new one layer card + a how to video over at the Altenew blog! 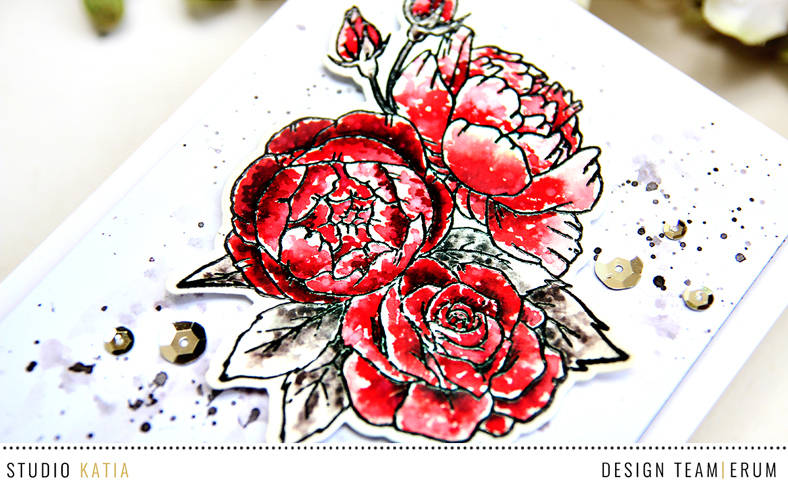 I have a super CAS card to share over at the Studio Katia blog today. 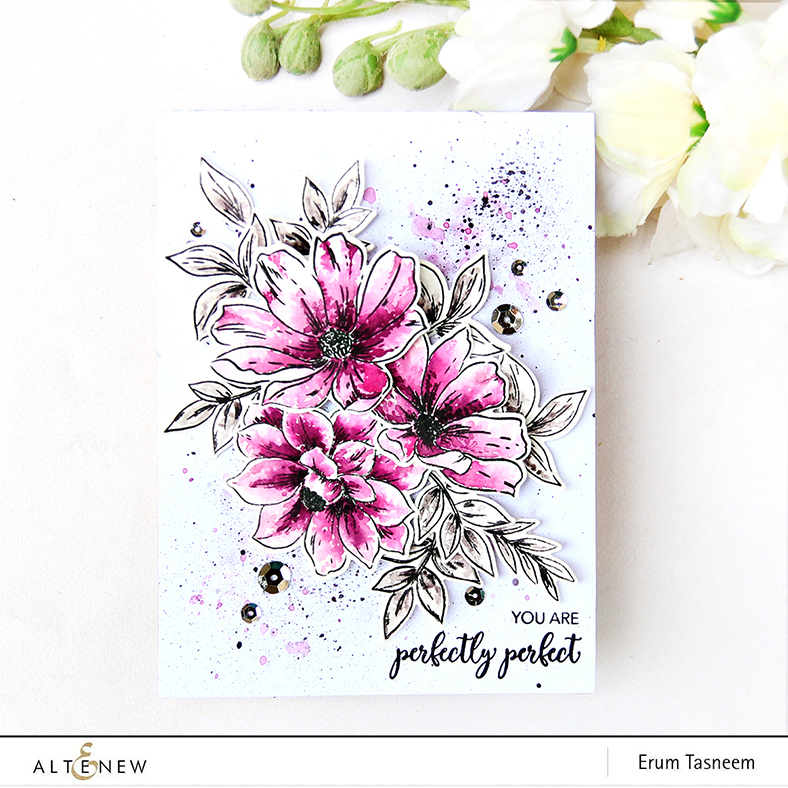 I have a new card+video to share over at the Pinkfresh Studio blog. 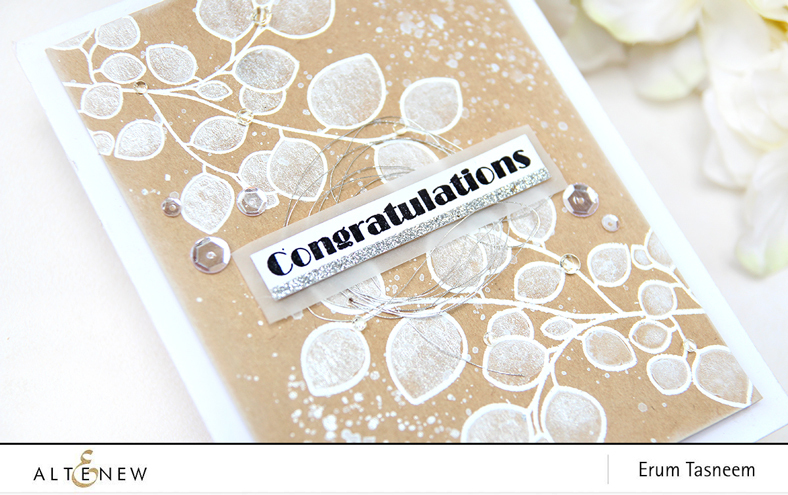 I have a card plus chocolate box set to share over at the Spellbinders blog. Would love it if you hop on over and take a look! You must be here from the awesome Laurie Willison's blog. I hope you are having fun hopping and taking in all the Altenew gorgeousness! I have four cards to share with you. 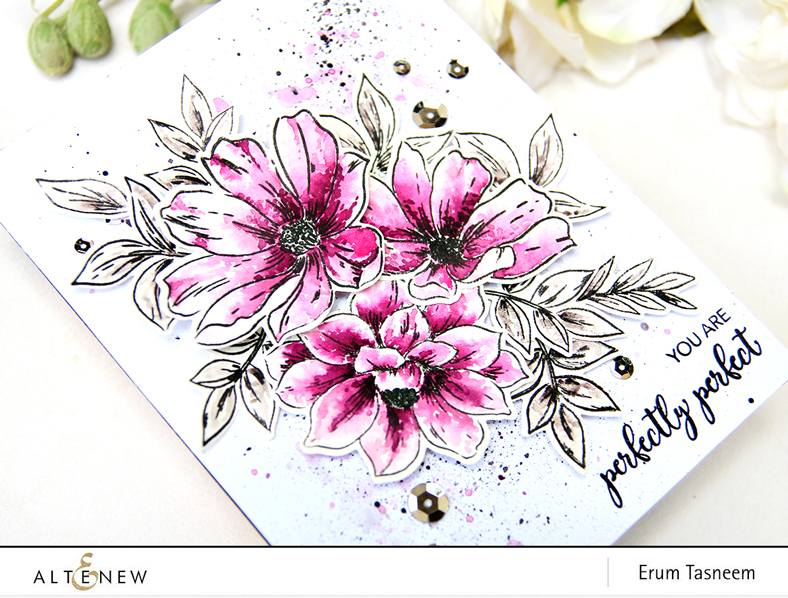 I stamped the flowers on watercolour paper with permanent black ink and then watercoloured them messily. After the images were dry, I die cut these out with the coordinating dies. 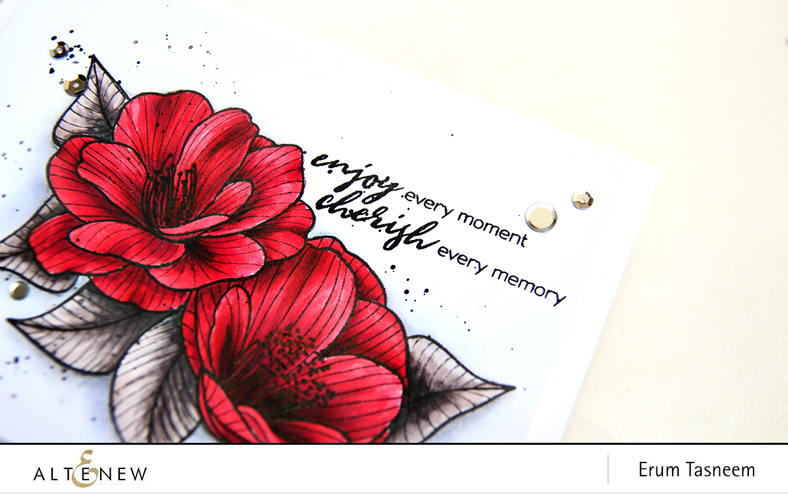 Next I added splatters on my one layer base and stamped the sentiment before arranging the images. I kept this card simple. 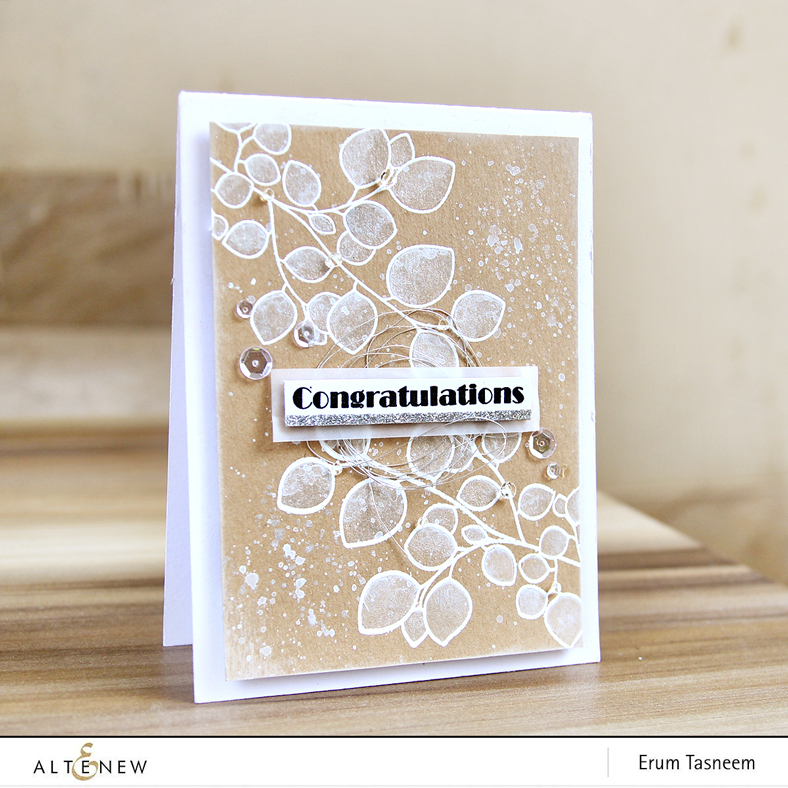 I heat embossed the images onto kraft cardstock and then used Gansai Tambi white and a pearl white watercolour for colouring. 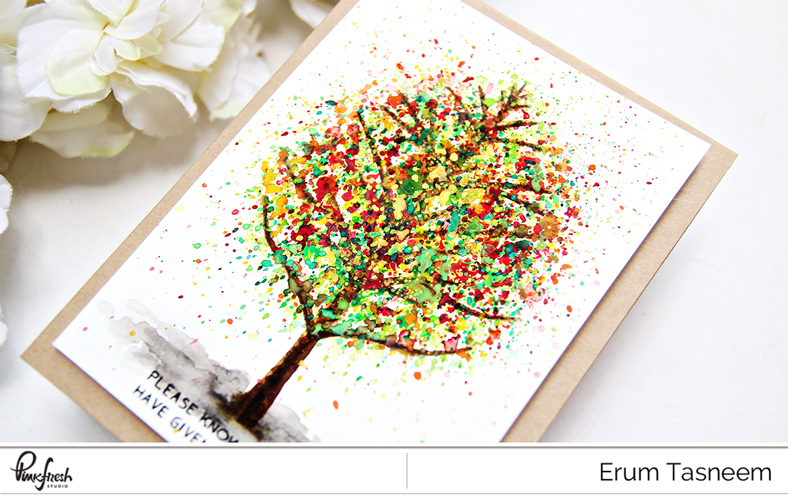 After watercolouring, I added tons of paint splatters of both white and pear white watercolour. This card is super shimmery. Perfect for weddings, I think. 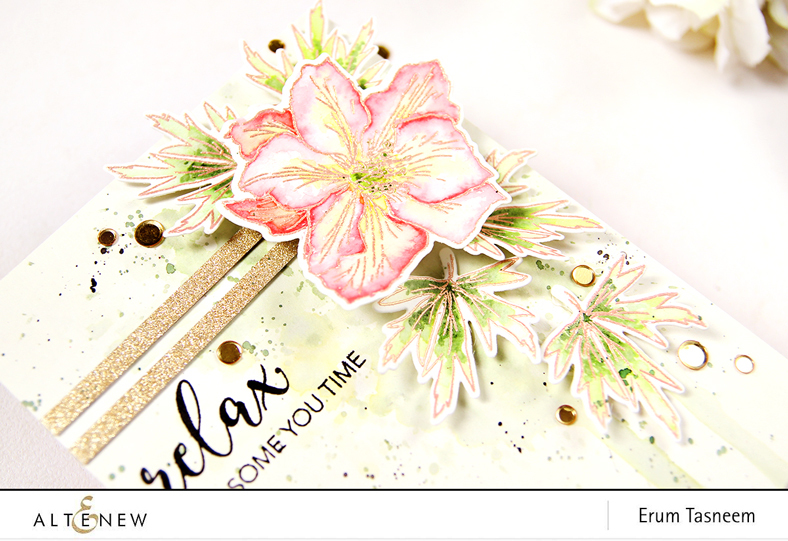 I used leftover flowers from the first card to make this CAS card. 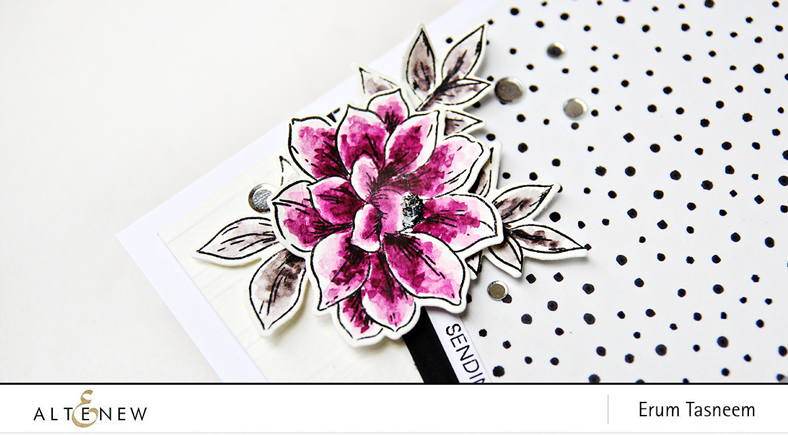 I stamped the Pinstripe Stamp Set with Moon Gray Crisp Ink. My last card is also a watercoloured piece. 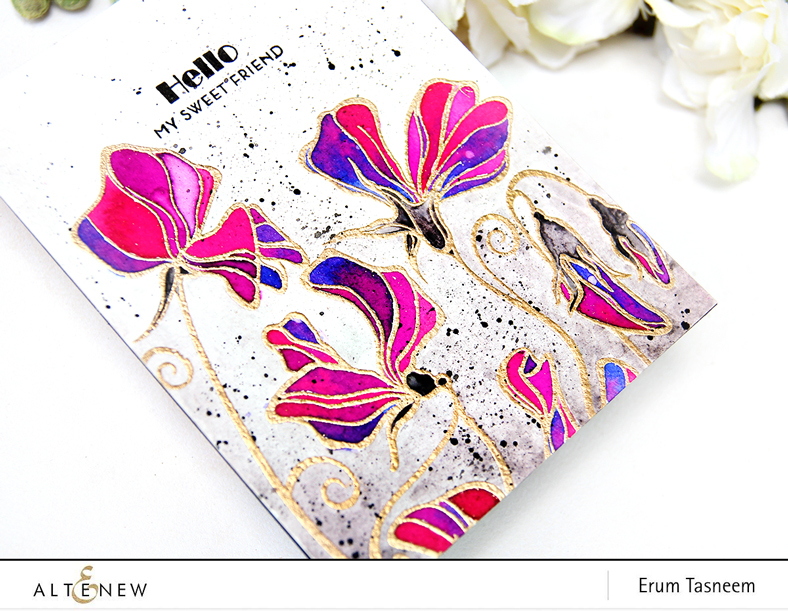 This time I chose gold heat embossing and jewel tones colours. I kept the background ombre and super messy. I hope you liked my cards! I had SOOOO much fun! 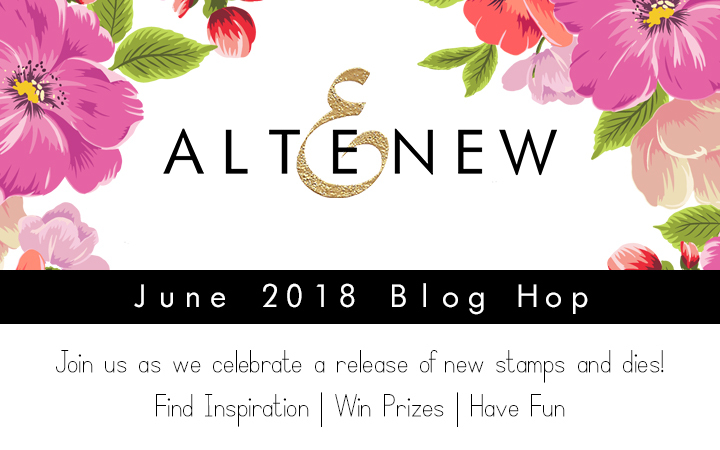 I will also be drawing a winner from the comments left on this post to receive a $30 gift certificate to the Altenew store. I will announce the winner on 20th June. 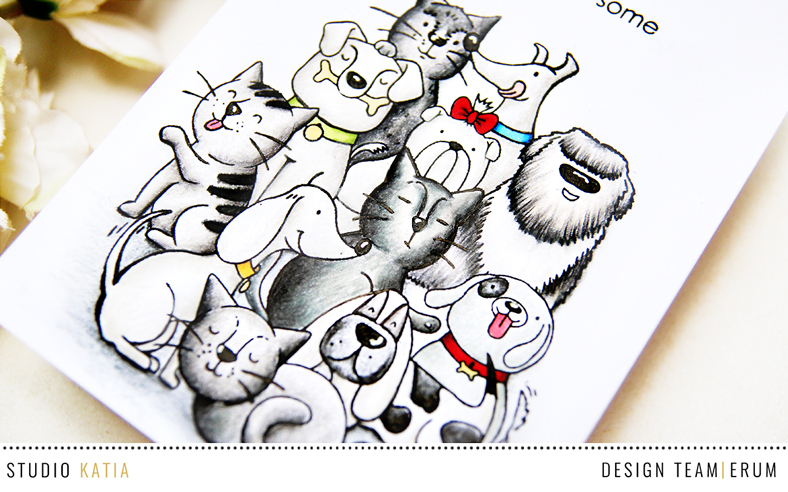 Now hop on over to Anna Komenda's blog! 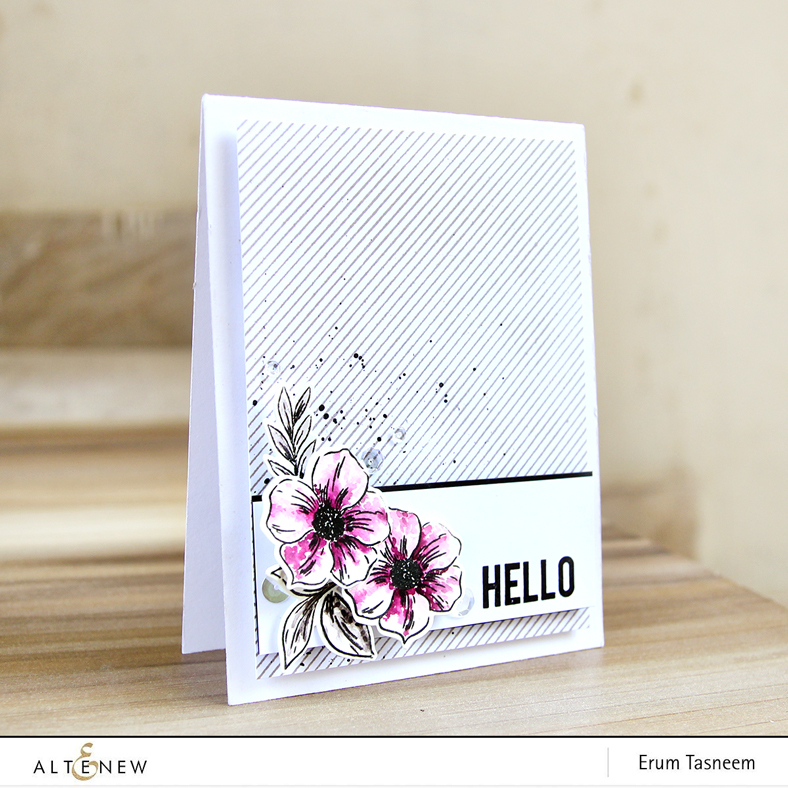 I have a new video tutorial to share at the Altenew blog. Hop on over to read about it or you can watch the video on my channel HERE. 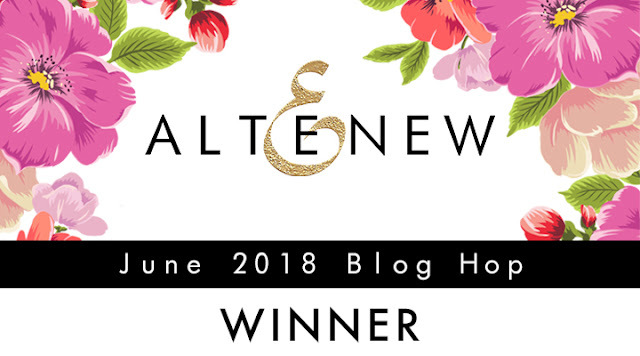 Please email winner@altenew.com with the subject same as the title of this post + my name "Erum" by 15th June. 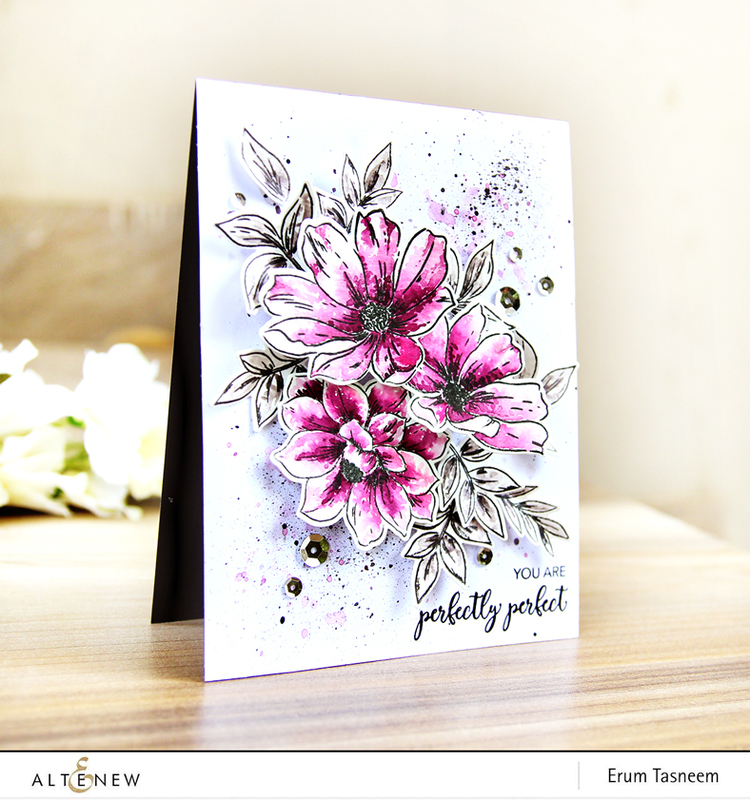 Hello and welcome to Pinkfresh Studio Liquid Watercolour Release! I was SO excited when I received the watercolours that I started experimenting right away! The colours are gorgeous and highly pigmented. I made a few watercoloured panels and a couple of cards to share with you guys but my little nephew spilled his juice on my worktable and well everything is orange now. I am happy I was able to save this one by changing it's card base. 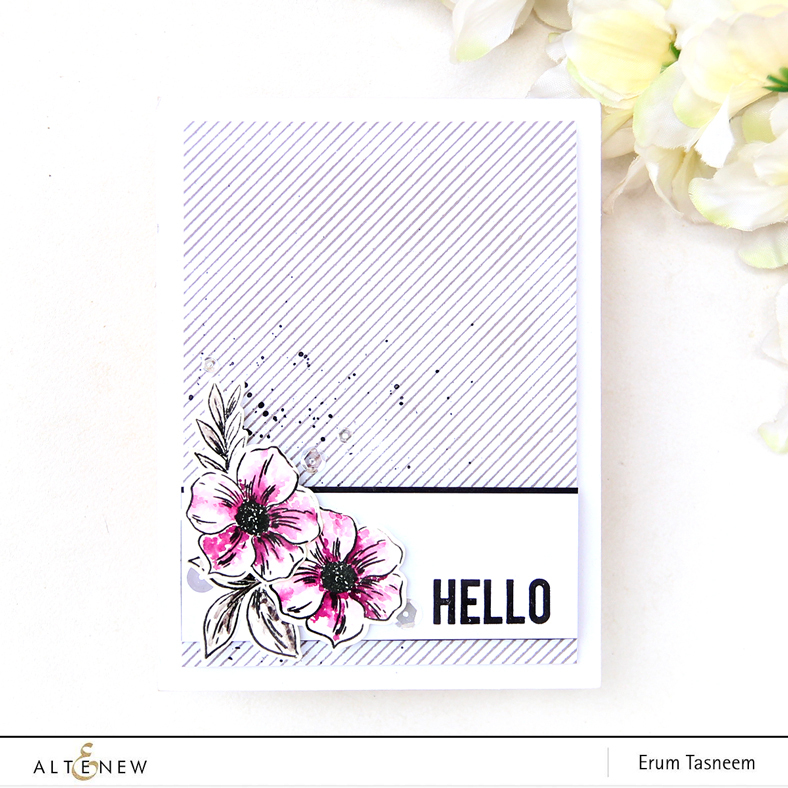 On my card, I am using the Floral Background Stamp Set. What I have done is, I stamped the image onto watercolor paper and coloured it with the new Pinkfresh watercolours. The colours I used are Bubble Gum, Candy Apple, Sunshine, Clementine, Lavender, Key Lime and Emerald City. After it was dry, I fussy cut the florals out. Next I worked on the card front. I used Aquamarine watercolour for my background. First, I applied water to the entire panel and then diluted the Aquamarine watercolour before applying it onto the card front. Like I said, the watercolours are gorgeous pigmented, if I had used the pigmented directly, the background wouldn't have been this subtle. After the background was dry, I added fine black paint splatters. 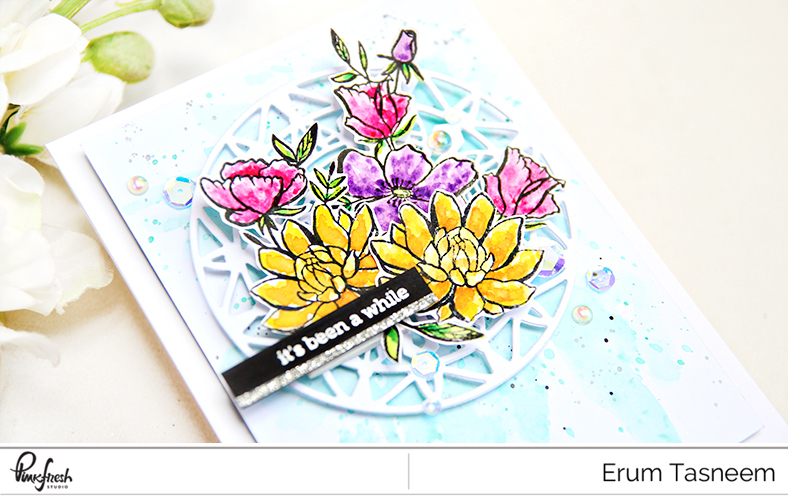 Then popped up the gorgeous Modern Mandala Die, on which I started to arrange the fussy cut flowers from the Floral Background Stamp Set. 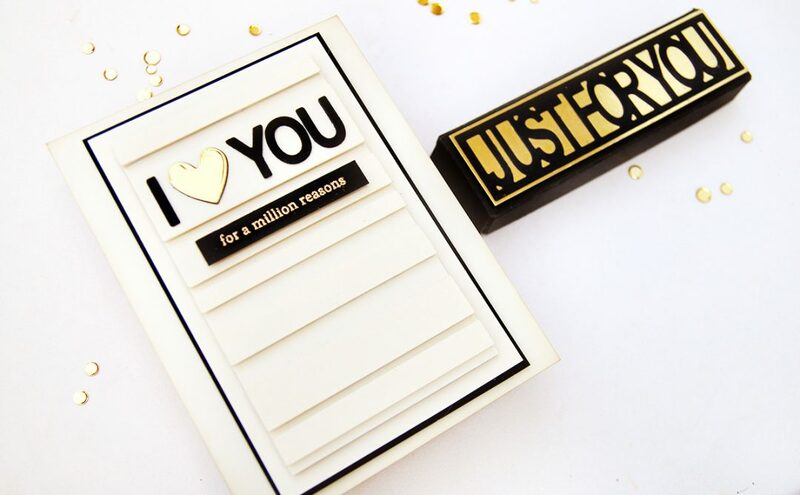 In the end I heat embossed a sentiment on black cardstock, added silver glitter tape to one edge and popped it up on the card front with foam tape. Now onto the awesome stuff! 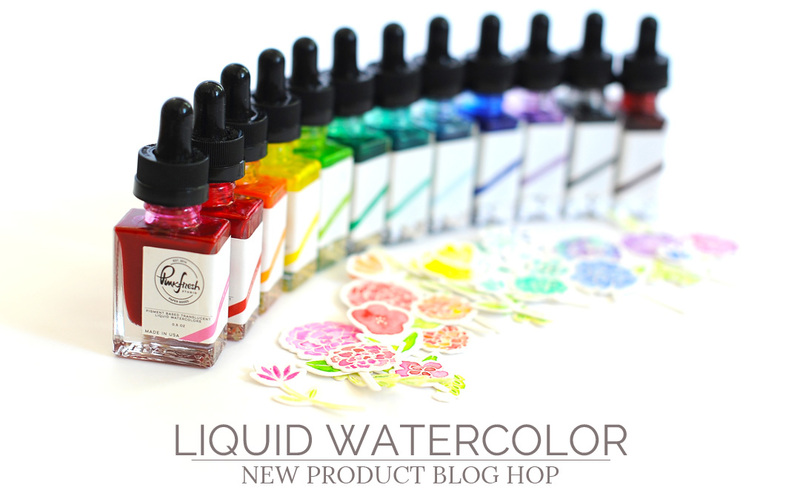 The Pinkfresh Studio blog will be giving away (1) set of Liquid Watercolors on each of the the following: Blog, Instagram & Facebook. 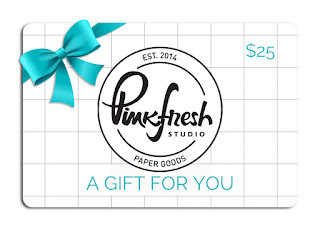 I will be giving away a $25 giftcard to one of you as well! Here is the hop list, I hope it works! 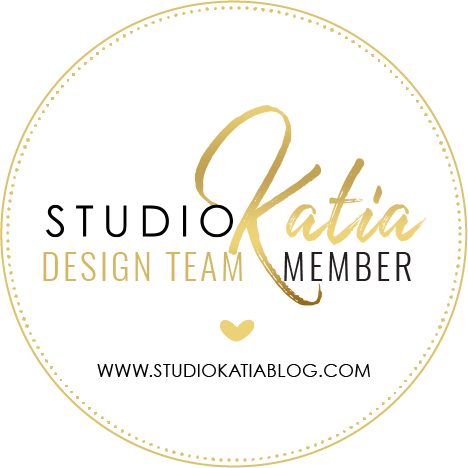 I am here to announce the winner of Studio Katia's 2nd Anniversary Blog Hop. Yay! 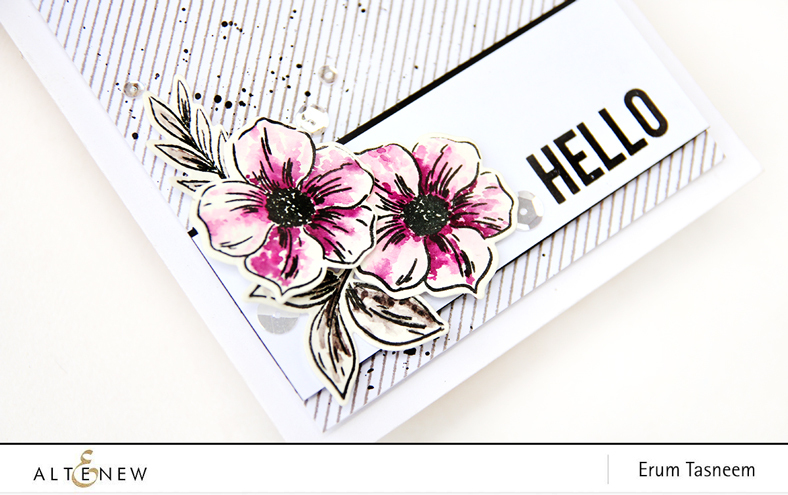 It's Build-A-Flower release day and this month's flower is Larkspur. I was very sick when I made this card but I am happy it turned out pretty good. The photos didn't come out great but it looks very pretty in person. 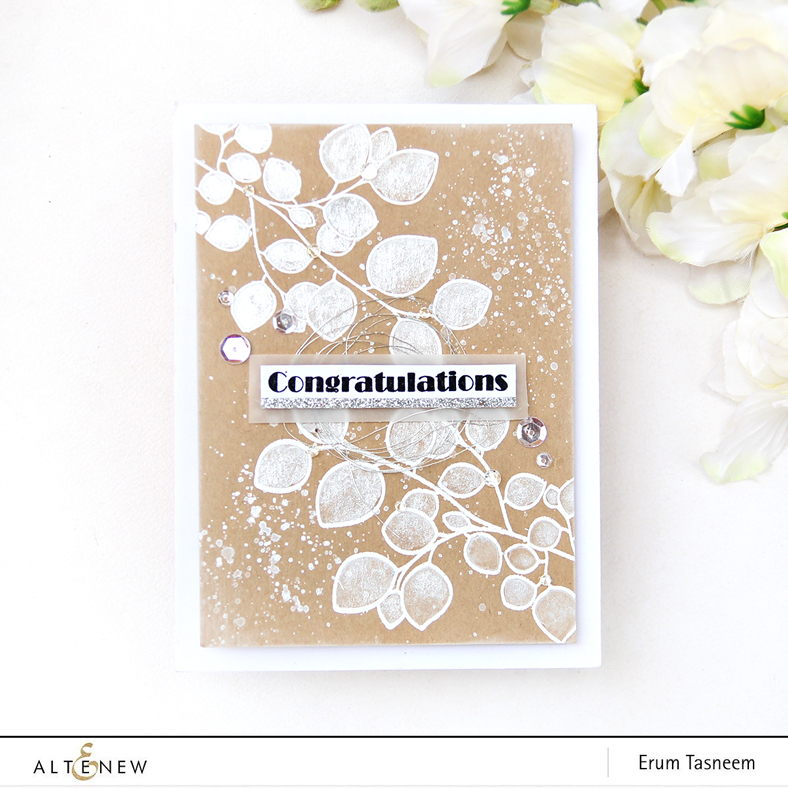 I heat embossed the images in Golden Peach Embossing Powder. I used distress reinkers to watercolour. After die cutting the images I worked on the front panel by adding a light colour wash of green and tons of splatters. To this panel I adhered two thin strips of glitter cardstock, stamped the sentiment and then arranged my images. In the end I added some gold confetti. I will also be giving away a $20 gift certificate to one of you. I will announce the winner on 6th June.